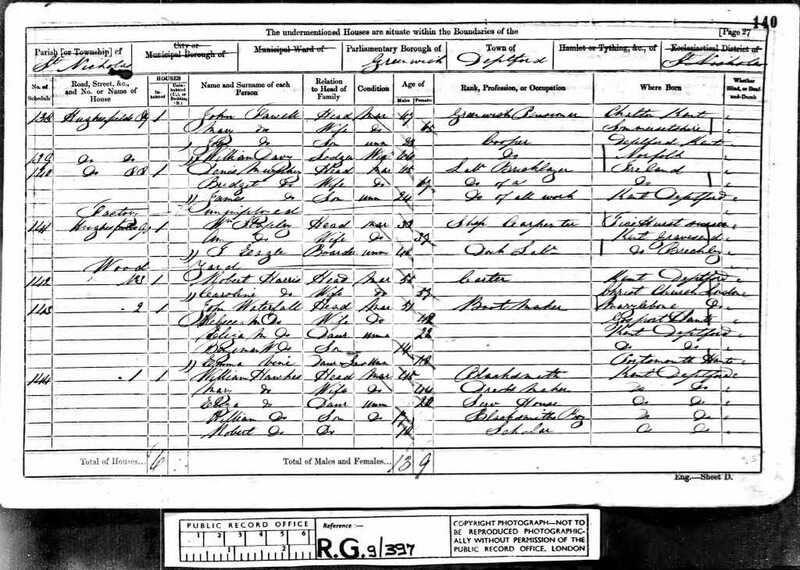 [S2] Birth Indexes, (Ancestry.com), June 1847 Greenwich 5 187. 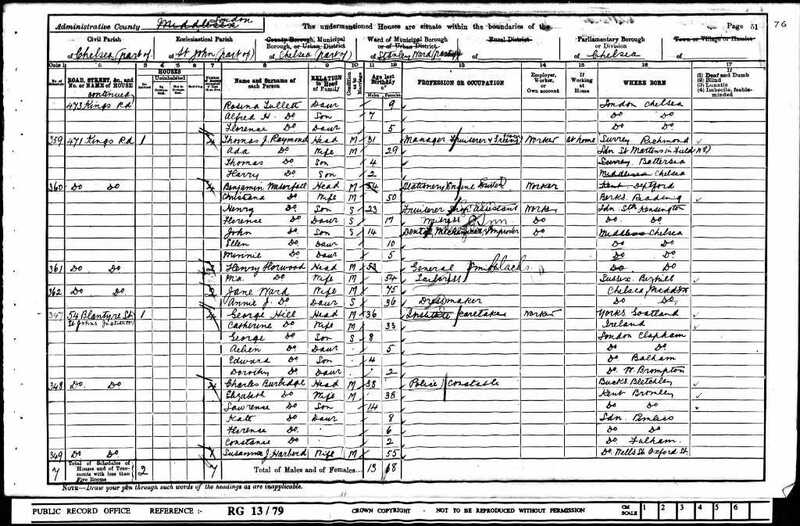 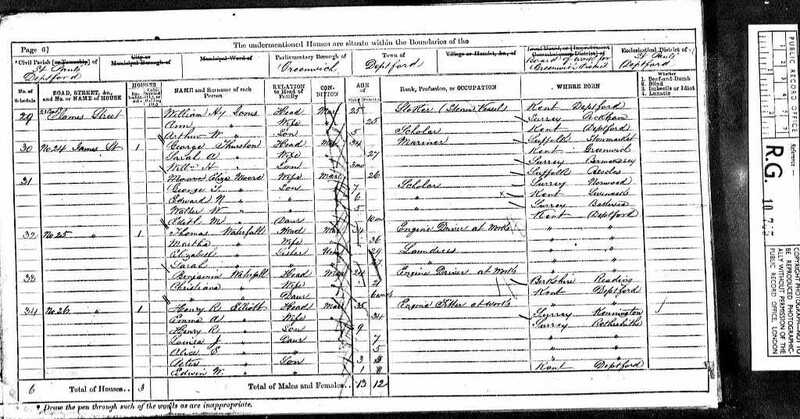 [S10] 1851 Census, (Ancestry.co.uk), HO107., HO107/1585 Folio: 17 Page: 27 (Reliability: 2). 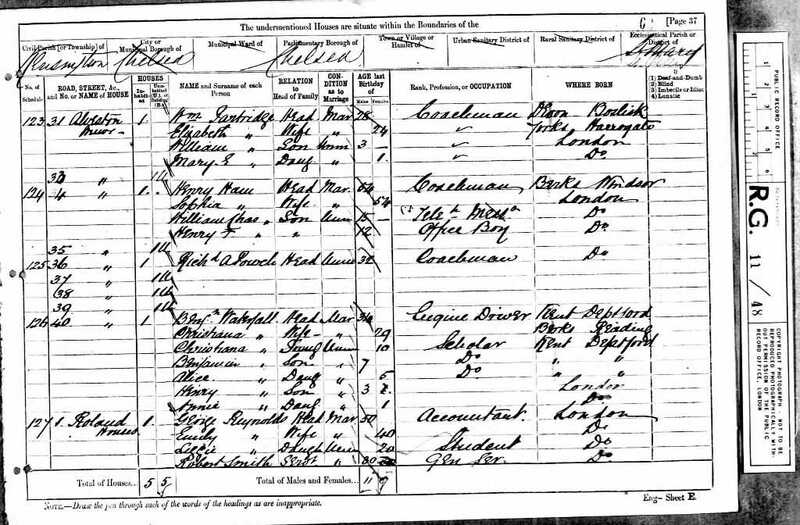 [S8] 1861 Census, (Ancestry.co.uk), RG9., RG9/397 Folio: 140 Page: 27 (Reliability: 2). 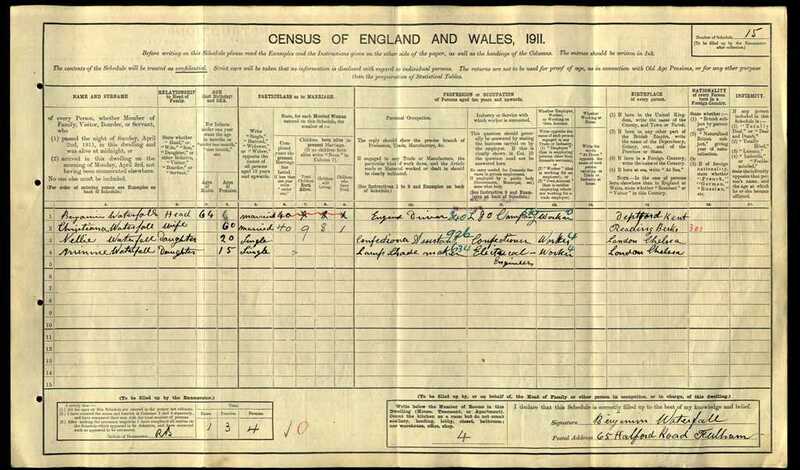 [S43] 1911 census, (Ancestry.co.uk), RG14., RG14/329 RD: 3 SD: NE Fulham ED: 26 SN: 15 (Reliability: 3). 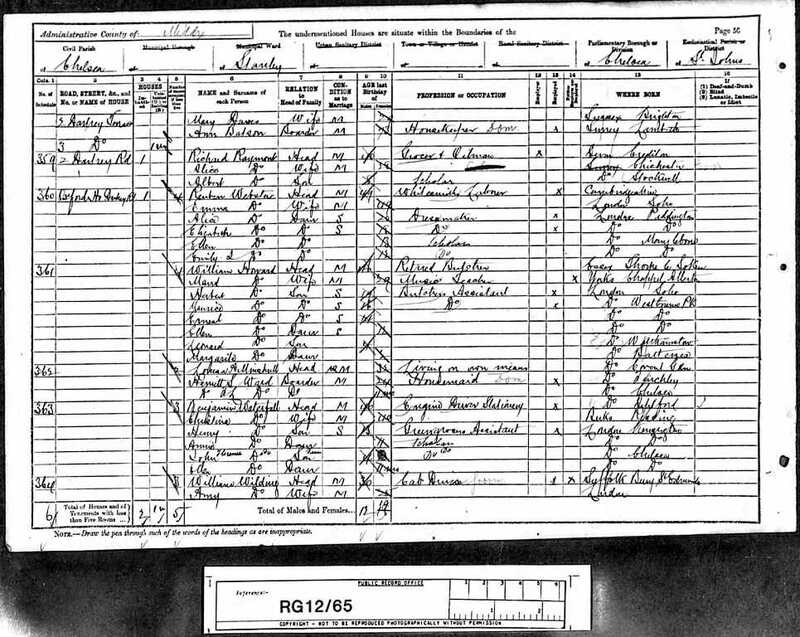 [S1] Death Indexes, (Ancestry.com), June 1926 Wandsworth 1d 401 (79 years). 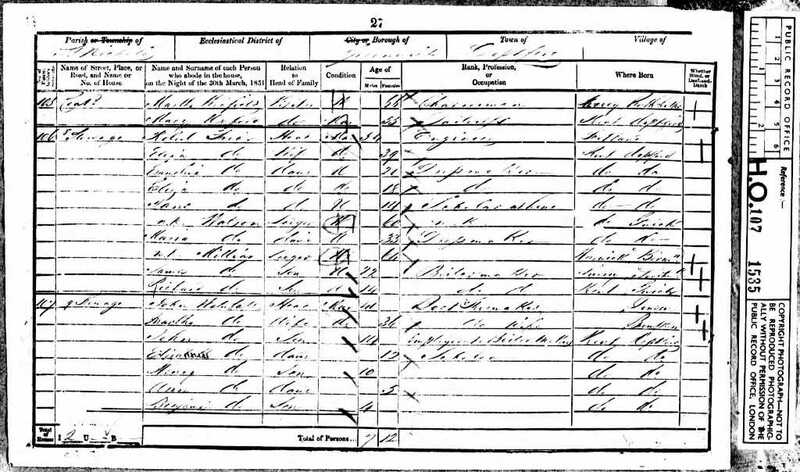 [S30] Marriages of Bermondsey St James, (Ancestry.com), P71/JS, Item 017.